Delighted that Mollie Makes now publishes a US edition. Have subscribed for a print copy for one year this week. 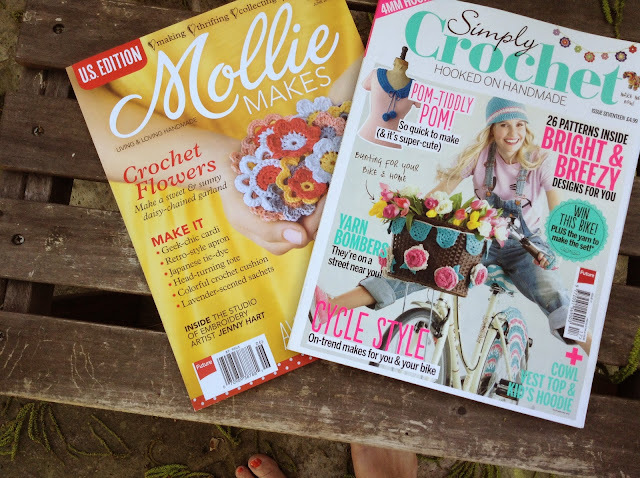 I also subscribe to Simply Crochet, a UK magazine, as an overseas reader. My favorite crochet guru Lucy from Attic 24 writes a monthly article in the latter.